AUSTRALIA’S health system has everything to gain by enhancing continuity of care for patients, according to experts commenting on a study that reveals the link between the use of medical procedures and levels of care continuity. Professor James Dunbar, from the Population Health Strategic Research Centre at Deakin University, told MJA InSight that the health system “is stretched to the max, so it makes sense to strip out the waste and cut down on all the inappropriate testing and treatment”. “But unless you are the one holding the chequebook, you’re not going to be able to change anything, because remuneration is key”, Professor Dunbar said. The authors used a random sample of 5% of fee-for-service patients aged over 65 years insured with Medicare in the US in 2008. Continuity was evaluated using the Bice–Boxerman continuity of care index, and overuse was measured using a previously validated set of 19 potentially overused procedures. They found that 14.7% of the 1 208 250 patients in the sample received at least one potentially overused procedure during the calendar year. For each 0.1 increase in the continuity score, patients had 0.93 times the odds of receiving overused procedures than those with lower scores. “Our research suggests that higher levels of continuity are associated with lower use of certain commonly overused therapeutic procedures and increased use of other indicators of overuse”, the authors wrote. They said it would be “critical to monitor the link between continuity and overuse over time”, saying it was possible that efforts to improve continuity could reduce some forms of waste in the health care system while increasing others. Brisbane GP Justin Coleman told MJA InSight he would “be surprised if there wasn’t a similar correlation between continuity of care and the use of medical procedures in Australia”. However, he said a primary factor contributing to poor continuity of care was the trend of prescribing “just in case” medications to patients. This was particularly prevalent in after-hours clinics, where a higher level of interventional treatments, such as antibiotics, was prescribed because the doctor was unsure if the patient would ever return to the clinic. Dr Coleman said it was therefore critical to “improve communication between the different cogs of the health system, and ensure we always get adequate and timely hospital discharge summaries”. Associate Professor Richard King, head of medicine at Monash Health and inaugural chair of the Choosing Wisely Australia Advisory Group, said Australia had been making efforts to restore continuity as a core value. However, key issues that were still causing problems included the continued overuse of pathology, and the disjointed information exchanges between hospital locations. “When patients voluntarily enrol with a specific practice and preferred GP, their GP is able to refer to detailed medical records and ensure patients are not subjected to tests and treatments they do not need. “This will give patients a medical home, and ensure care is patient centred, comprehensive and coordinated”, Dr Jones said. The issue of continuity of carer has been the subject of many studies. It has been shown for example, that when midwives provide continuity through primary caseload models of care, many common interventions in childbirth are used less frequently with good maternal and infant outcomes. The other area where continuity is required is for some Aboriginal and Torres Strait Islander patients. Traversing health services, particularly when away from home communities, is a barrier that would be overcome with a journey partner – a health professional able to coordinate and communicate on behalf of the patient especially when there are multiple visits with a range of service providers. The translation of medical information would be managed far more effectively by someone who knows and is known by the patient. Aboriginal Health Workers/Practitioners are ideally placed to provide this continuity, but the models of care are not always in place to ensure this occurs. It remains a challenge to translate often complex medical complications and the interventions required to improve outcomes across diverse, multi-language Aboriginal and Torres Strait Islander communities. It would be cost effective over the life course to provide continuity of carer in a range of settings (maternity care, general practice, etc) so that complex clinical knowledge is transferred in meaningful and appropriate ways by people who know and understand those they are supporting. 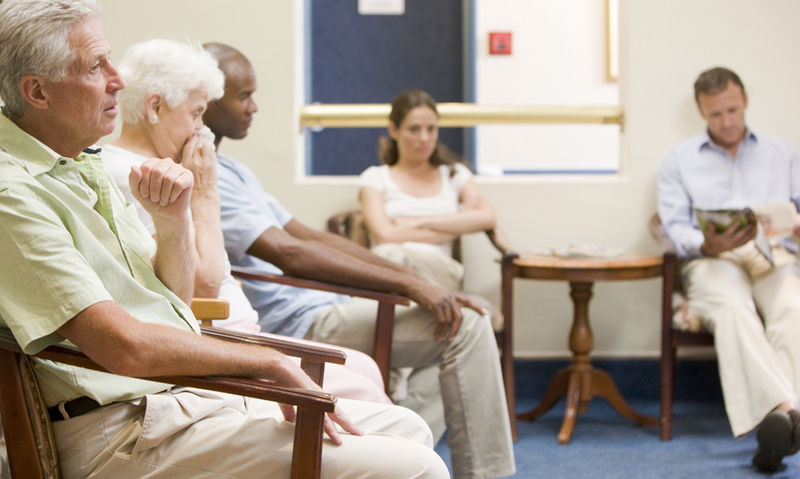 Patients are then supported to make the changes required to improve management of their health conditions. Acknowledging the importance of the relational aspect in the provision of health care is an important step to supporting improved health outcomes through continuity. Continuity of care is not new. It was all there for my mum as the only registered nurse and midwife serving a huge community area around a central Queensland hospital in the 1950s. There was only one doctor also. Announcements regularly blasted across mum’s ‘off time’ movie cinema screenings advising all that “Sister Percival was required at the hospital immediately”. She was always on call. The town’s folk were also alerted with this announcement and took up their roles instantly without prompting. Mum says the doctor’s wife who had no medical or nursing training often scrubbed as an assistant in theatre. Continuity of carer care is brilliant and the gold standard but it does not exist in isolation.